FIX YOUR RUNNING INJURY NOW! No matter how severe or complicated your running injury may be, The Running Injury Recovery Program and the accompanying WORKBOOK will show you how you can recover from your injury and become a better and smarter runner. In The Running Injury Recovery Program, Bruce Wilk reveals the secrets he has learned over 30 years as a physical therapist, triathlete and running coach to successfully return injured runners to healthy running. He exposes the pitfalls of nonspecific treatments for running injuries and teaches you to become your own physical therapist for running injuries. 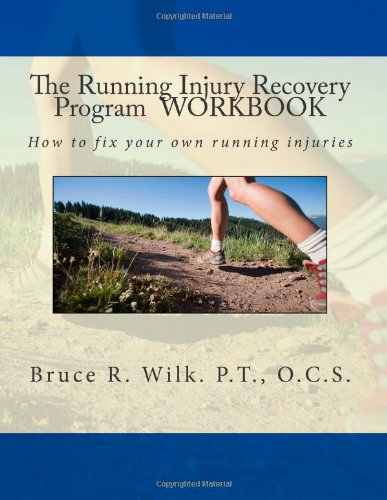 In The Running Injury Recovery Program WORKBOOK (SOLD SEPARATELY), Wilk guides you through an individualized, step-by-step recovery program that includes self-assessment, a progressive exercise program, and post-injury running drills, including more than 60 photographs. Your recovery program is individualized to your specific injury and conditions, and is phased with checkpoints that allow you to monitor your progress and protect yourself from further injury. Chapter 1 Do I Really Have a Running Injury? Chapter 3 How Bad Is My Injury? Chapter 4 What Type of Injury Do I Have?